What is the Wireless Speaker and Audio (WiSA) Association and its mission? 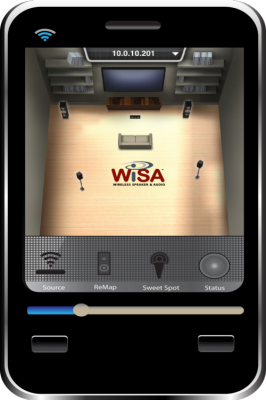 The WiSA Association was founded to advance the adoption of wirelessly transmitted, interference-free high-definition (HD) surround-sound audio in the home theater environment by establishing the industry’s first interoperability specification and compliance testing programs for manufacturers of high-performance wireless speakers, DTVs, Blu-ray Disc players, and other consumer electronics (CE) devices. Why is there a need for an interoperability and compliance test specification? Consumers want HD wireless surround speakers to match the HD video quality of their HDTVs, Blu-ray players, music and gaming consoles; however, until now they had limited options to realize this vision. With WiSA-certified products, consumers will be able to outfit their home entertainment system with speakers and components from any participating vendor with the assurance that the devices will interoperate with each other and provide the highest standard in HD wireless surround sound audio. Products featuring the WiSA logo have been compliance tested, thus ensuring interoperability with other WiSA-enabled CE devices. What is driving the need for standardization in high definition wireless audio? HDTVs are getting thinner and it is becoming increasingly difficult to incorporate the latest electronic advances into such thin displays. We expect that eventually most of the electronics will be external to the display. The first to go is the audio, since there is very little room for quality speakers in today’s thin displays and HDTV manufacturers know they need to provide an audio alternative. Additionally, since cost is a significant consideration, some manufacturers will offer external sound bars which will satisfy some consumers, but there remains a strong need for a high quality audio alternative. All of these developments have created an inflection point in the market and manufacturers are looking to the WiSA Association to create a standard for wireless audio interoperability that will support a long-term product strategy for the successful development of high quality, wireless audio products. What do consumers need to know about the underlying technology and the compliance/logo program? The underlying technology takes advantage of a rarely used frequency range called the U-NII band which operates between 5.2 and 5.8GHz. This frequency range allows for the transmission of uncompressed, cinema-level audio quality that is unattainable in other wireless technologies. Additionally, because of the special requirements on how this band is to be used, it allows for guaranteeing an interference free user experience. The WiSA logo program ensures that participating products have been compliance tested, thus ensuring interoperability with other WiSA-compliant CE devices. Manufacturers will submit their WiSA-enabled products to the Association and products that have passed compliance and interoperability testing will feature the WiSA logo. Consumers evaluating WiSA-compliant products will have the choice to buy components from different brands, knowing that they will interoperate together and work right out of the box. This is the confidence provided by the WiSA logo. How will WiSA technology change the user experience? Working with WiSA-compliant products gives consumers a migration path for adding additional speakers to upgrade their home audio system. For example, a consumer might start with a WiSA certified sound bar for their flat screen television and then add a WiSA subwoofer. In a year from now, that same system can be easily upgraded to 5.1 surround sound by simply adding 4 surround sound speakers. There is no need to replace the entire system; consumers can keep the original transmitter, sound bar, and subwoofer and integrate them seamlessly into their new 5.1 system. Being able to outfit a home entertainment system with WiSA-compliant speakers and components from any participating vendor gives consumers not only the choice to select components based on their individual preference, but also provides the assurance that the devices will interoperate with each other and deliver the highest standard in HD wireless surround sound audio. Can you give a brief overview of the certification process? The manufacturer builds their equipment according to the WiSA Compliance Test Specification (CTS). They then test- run their own equipment through the CTS and when the product is ready, the manufacturer fills out a Capability Declaration Form, attaches it to the equipment and sends it to a WiSA Authorized Test Center for certification. After passing the certification, the product will be licensed to carry the WiSA logo. Is there a limit to the number of channels? 9.x and 11.x receivers are coming onto the market now. Will WiSA support these? There is currently a limit of 8 channels. The maximum configuration is 7.4 (4 subs share 1 channel). The WiSA technology roadmap calls for increasing the number of channels and for an increase in the bit rates as well. The WiSA Association will announce changes in the maximum configuration as soon as they become available. Which approach to the “sweet spot” has been adopted by WiSA? WiSA technology delivers a single sweet spot where the levels and delays are optimized. This can be changed instantly to any arbitrary location using an onscreen display a remote control fitted with an ultrasonic transducer or perhaps a mobile app using the smartphone as a remote control. My receiver has room optimization. Won’t that conflict with WiSA’s sweet spot algorithm? It is not necessary to use the sweet spot technology when implementing a WiSA-based home audio system. The sweet spot can be fixed at a single location and the receiver can use its own algorithm. Do WiSA speakers require line of site or can the technology transmit through walls and floors? As with most wireless radios, a WiSA-compliant system is designed to operate in the Unlicensed National Information Infrastructure (U-NII) frequency band; it does not require line of site nor does it go through walls and floors. The U-NII band was selected to maximize channel availability and thus eliminate interference. Products built without the ultrasonic transducers do not require line of site; this functionality is based on the feature set designed in by the manufacturer. However, to take advantage of the sweet spot location and auto calibration features, line of site is required. WiSA certification guarantees that the equipment will operate within a 30’ x 30’ space. This is done to set realistic customer expectations, unlike some wireless radios that claim a huge range and fail to work. While not currently supporting multi-room settings, we are actively looking at the requirements for multi-room applications. 802.11a (common on Apple devices) and WHDI use the 5 GHz band. Will I have interference issues if I use 802.11a or WHDI devices near my WiSA-enabled home audio system? Having other devices nearby that also use the 5 GHz band will not affect the performance of a WiSA-enabled home audio system as WiSA technology can seamlessly switch to another frequency within the 5 GHz band. The 5 GHz U-NII spectrum utilized by WiSA technology has up to 24 channels available that are constantly monitored for interference using the Dynamic Frequency Selection (DFS) sub-band between 5.2 and 5.8 GHz. When interference is detected, the next channel, having been monitored for over one minute and confirmed for accessibility, is ready to go and WiSA-enabled devices switch seamlessly to that channel, without the user ever noticing or the audio experience being affected. The Dynamic Frequency Selection (DFS) sub-band between 5.2 and 5.8 GHz is shared with military and weather (aviation) radar. The rule for this sub-band is that the equipment must use DFS when radar is detected on a channel and immediately hop to an open channel. This is inconvenient for computer networking because a channel must be clear for one minute before use and cannot be reused for 30 minutes, after a conflict is detected. Due to the strict access rules there are only a few systems that operate in the DFS band as a result and WiSA-enabled systems are one of them. Audio is ideally suited for DFS operation since audio requires a steady stream of data — not high-speed bursts. Some of the audio transmission time can be used to look for unused channels. When interference is detected, the next channel has been monitored for over one minute and is ready to go. Using DFS is also good when there is interference from other radios or signal strength is poor for some reason. The system can just hop to another frequency. This makes it very friendly when co-existing with other technologies. Will I need a new receiver to use WiSA speakers? No. Think of WiSA-compliant devices as operating just like speaker wires. You may not need to use all of the amps on your receiver. Likewise, if you want to wire your front speakers to your receiver, WiSA-compliant equipment can provide the connection to your subwoofer, surround speakers and rear channels. Is WiSA just for residential applications, or does it have commercial applications too? If so, can you provide some examples? Initially the WiSA Association is focusing on home theater. However, WiSA was invited to participate in Pete Putman’s “AV Signals Gone Wireless” presentation at InfoComm. We did a very successful demonstration in a large meeting room to an audience of professional installers. Besides the quality and robustness of the underlying technology, the InfoComm presentation demonstrated rapid setup and tear-down for mobile systems, conference rooms, lecture halls, and meeting rooms. Any place where it is inconvenient, unsightly, or unsafe to run wires is a good fit for a WiSA-compliant speaker system in addition to business locations that have concrete walls and floors that may cause installation problems. OK, I’m sold. When and where can I buy WiSA certified products? Many projects are in development now. We anticipate several WiSA-enabled product introductions to be made at CES 2013 in January in Las Vegas. In the meantime, consumers can check out Advisory board member company, Aperion Audio’s Intimus 4T Summit Wireless System which showcases the technology. 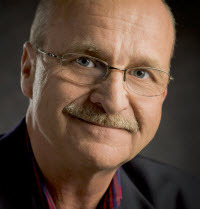 Jim Venable is an industry veteran with over 25 years’ experience in bringing breakthrough technologies to market. His understanding of mobile, PC, and CE markets is derived from executive experience at Silicon Image in his leadership role with the IP Licensing group; and from senior management positions he has held at Motorola, Mentor Graphics, Hitachi, AMD, and Sharp.